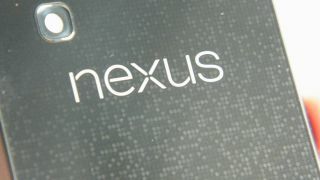 Original rumours suggested that October 15 would be the launch date for the Google Nexus 5. But would you look at that – it's October 16 and the Nexus 4 is still the latest and greatest of its kind. Now there's a rumour flying around the internet claiming that the US government shutdown has caused a delay on Google getting the Nexus 5 and rumoured Google smartwatch through the approval process, which is why the October 15 unveiling never took place. October 31 is the other date we've been hearing, so this possible delay may prove to be a whole load of "no big deal" if Google gets the approval soon. Or it's completely untrue. But if Google did in fact have an October 15 event lined up and ready, and has now had to push it back, we really hope the governmental hijinks don't push it back any further. As more evidence that Google is preparing the launch of something very soon, a new Google display has shown up at a Best Buy store in the US although right now it's empty. However it's been reported by PhoneArena that a Best Buy manager has confirmed this is a display stand for the Nexus 5. Could we even see the Google watch showing its face alongside it? We've been promised that Android 4.4 KitKat will arrive this month and we expect Google is planning to roll it out alongside the Nexus 5 and its smartwatch.